BARKSDALE AIR FORCE BASE — The Airman and Family Readiness Center held Barksdale’s first Post 9/11 GI Bill briefing July 31. 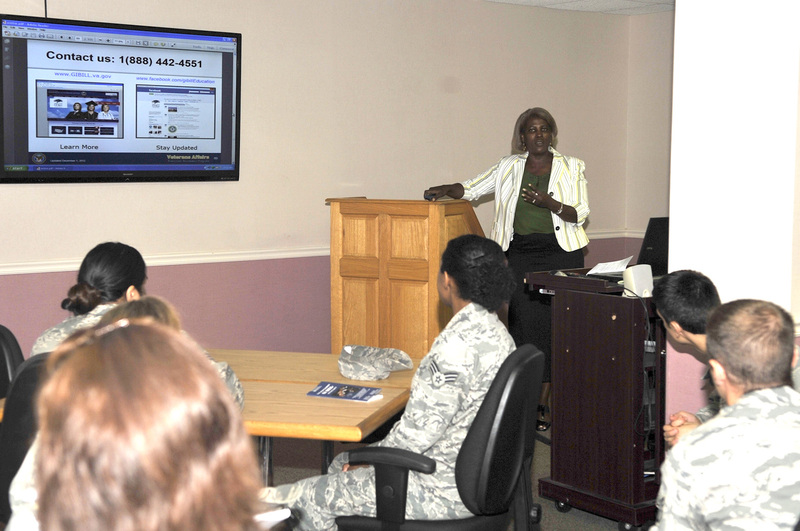 The briefing educated Airmen on the benefits of the Post 9/11 GI Bill which gives eligible Airmen up to 36 months of entitlements based on their length of service. The Post 9/11 GI Bill can also be transferred to family members aged 18 years and older. Some of the benefits of the Post 9/11 GI Bill include tuition fees and a monthly housing allowance. It also provides a book and supply stipend of no more than $1,000 paid to the recipient. The briefing covers all eligibility information, and Airmen who have already signed up for the Montgomery GI Bill can learn how to switch to the Post 9/11 GI Bill. Staff Sgt. Anishka Farrington, 2nd Maintenance Group knowledge operator, attended the course to get information about how she can better pay for continued education. JoAnna Lester, Veterans Affairs military service coordinator of the New Orleans regional office instructed the class on the bill’s benefits.